The Old Saigo Row House Gate is the largest row house gate of its kind in Hikone. Its front exterior in particular is especially well-preserved, making it a very valuable example of the remains of an old samurai residence, and also earning it an official designation by the city at a cultural asset. The Saigo samurai family hailed from Enshu Province (Also known at Totomi Province, located in present-day Shizuoka Prefecture), and was one of 34 samurai families to serve as ministers to the castle lords of feudal Japan. The Saigo were among the first to serve shogun Tokugawa Ieyasu, but in 1582, in according with Ieyasu's orders, the Saigo were transferred to the service of Naomasa Ii, where they remained until the end of the Tokugawa Period (-1867). 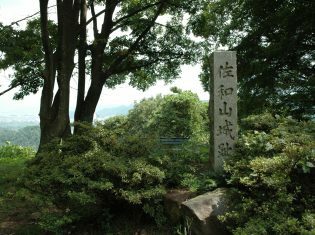 From the early days of Hikone Domain until the end of the shogunate, the Saigo family lived on the same lands here, as the Ii's retainers. During the reign of Naoki Ii, the retainer was Tozaemon Saigo, whose stipend was valued at 3,000 koku (units of rice to feed an individual for a year). The Old Saigo Row House gate lies to the eastern side of this structure, and on the western edge of its northern side is the Kourai Gate.